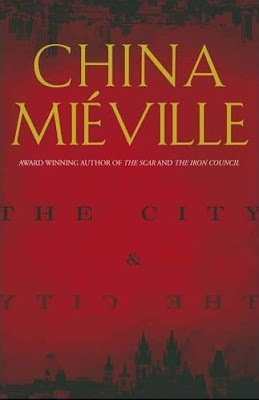 I suspected that one of last year's over-hyped novels is China Mieville's The City & The City that I had to read it. It's surprisingly light compared to Mieville's previous novels, although it's more than up to the task in immersing the reader. 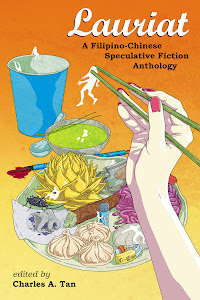 I couldn't help but compare this book to Jedediah Berry's The Manual of Detection because while they're similar in the sense that they combine elements of mystery with the fantastical, they are also the opposite of each other. The latter for example deals with a more abstract setting and engages us with characters that are almost caricatures. Mieville, on the other hand, creates a landscape that's full of telling details and verisimilitude--a difficult feat considering The City & The City takes place in a fictional country. Whereas Berry channels the P.I. novel, Mieville feels like an authentic crime procedural. It's easy to see why genre fans are quick to praise The City & The City. The first element--and I can't help but reveal spoilers so readers are warned--is how Mieville exaggerates the concept of political borders that feels fantastical, but at the same time doesn't really stray that far from reality. I can easily imagine this book to be future reading material in any political science class as Mieville successfully executes what in retrospect is a simple conceit. If you consider science fiction to be the genre of ideas, then this book falls under science fiction as it creates a world where the borders of one city is truly in the mind, as opposed to its physical geographical location. Here, it is Mieville's writing that comes into play. Isaac Asimov might simply tell us these facts but Mieville shows it to us layer by layer through the text. There are already hints of it as early as the first chapter but it's only over the course of the novel that this bizarre reality comes into the forefront. The second element that I want to highlight is how Mieville plays with reader's expectations. If you're reading Mieville for the first time or are unaware of his reputation, then this might not apply to you, but to those who've read the author's other works such as Perdido Street Station, you might read the book with the expectation that there is something overtly fantastical in the novel. On the other hand, if you're a crime reader, you might also expect this to be a fully-fledged realistic book. This dichotomy becomes a significant plot point in the book, and Mieville is persuasive in leading us to believe one over the other. When the revelation is finally revealed, as is the case with mystery novels, The City & The City is genuinely surprising and satisfying. Overall, I found The City & The City to be a very enjoyable read, although I wouldn't quickly label it as one of 2009's best of the best. Is it a significant book? If you're viewing it from a genre lens, it certainly is, especially when it comes to the questions that it forces readers to address. When it comes to craft, Mieville is detailed and faithful to the crime genre he is emulating, which makes him a skilled writer, but does not necessarily make this an outstanding book. One could also posit that 2009 was the year the weir/noir/mystery genre novels started to emerge, and The City & The City will be one of that sub-genre's landmark books, but if I'm going with my gut feeling, I really did like The City & The City, but not to the point of eschewing it above everything else. Definitely a good read, although again, I feel it is over-hyped.